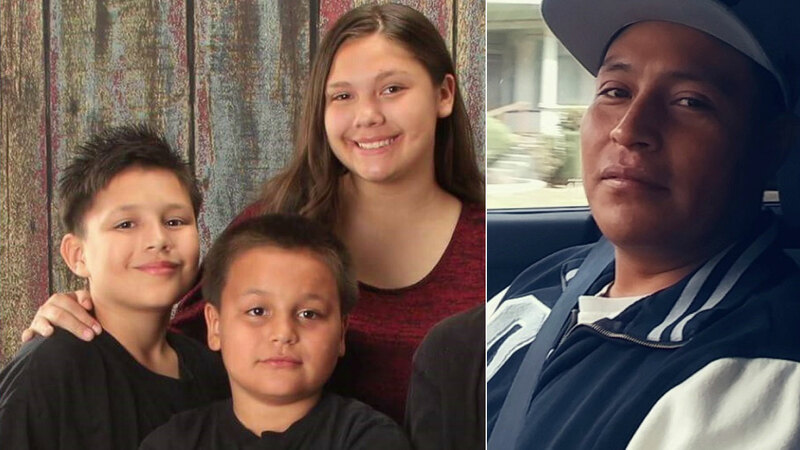 Riverside police are looking for Francisco Santos (right) in the abduction of three children from his estranged wife: Veronica Sweet, Christopher Sweet and Michael Santos Sweet. RIVERSIDE, Calif. (KABC) -- Riverside police are looking to question a Southern California man who may have fled with three children from his estranged wife. Police say Francisco Santos took three children from his estranged wife. One of them is his own biological child and the other two are not. The children are identified as Veronica Sweet, Christopher Sweet and Michael Santos Sweet. Initial reports from police called the matter an abduction. Officials later clarified to say detectives are classifying it as a custody dispute and not a criminal matter at this time. Nonetheless, they are looking to interview Santos. Santos is believed to be headed up the 5 Freeway north toward Washington State and he possibly may have stopped in the Fresno area Sunday night. Santos is believed to be driving a white 2008 Ford F-250 pickup with extended cab and a broken right mirror. It has California license plate 8K24170. UPDATE: This story was updated to reflect that police are saying this is considered a custody dispute and not a criminal matter at this time.